Nathan is a Director in the firm’s Concord, New Hampshire, office. His work focuses on complex commercial litigation matters in the construction, health care, and consumer banking industries. He frequently represents clients in state and federal courts, as well as before numerous state agencies and the Legislature. 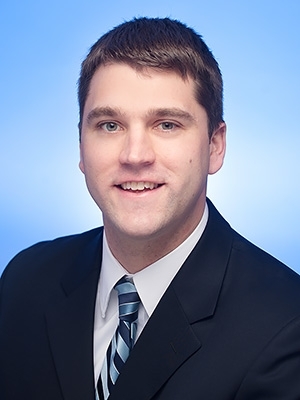 Nathan also advises clients in government investigations and provides cyber-security counseling. Nathan frequently authors publications and provides presentations on a variety of legal topics, ranging from the impact of federal fraud laws on healthcare institutions and construction companies to developments in data security and breach notification laws and their impact on potential insurance coverage for data breach events. In recognition of his notable work for clients, Nathan has been twice named to the “Under 40 Hot List” by Benchmark Litigation, which recognizes the "nation’s most notable up-and-coming litigation attorneys." This list is compiled through a process of both peer review and case examination. Nathan is an active member of the community. He has served on multiple committees of the New Hampshire Bar Association. In 2015, he was elected to a three-year term on the Concord School Board. He also coaches youth basketball and baseball. During law school, Nathan interned for the United States Department of Justice and The Honorable Mary Ellen Coster Williams at the United States Court of Federal Claims. After graduation, Nathan practiced law in Washington, D.C., with the international law firm Reed Smith LLP, before returning home to New Hampshire.